I would like to take a moment to share some lessons that I learned from my cat. 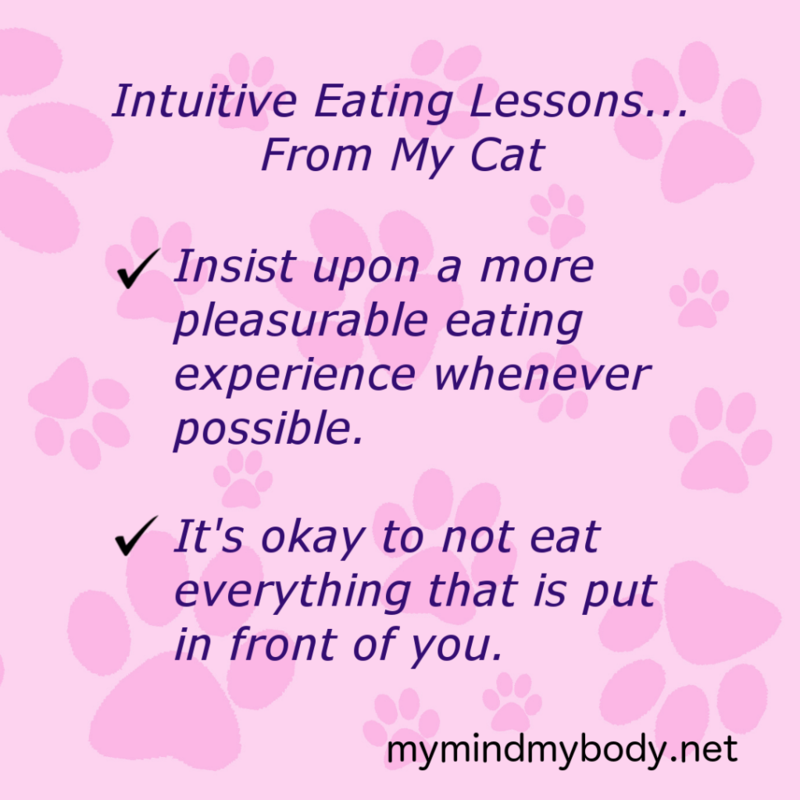 If you want read more about this, check out my pet-inspired article called “Intuitive Eating Challenge: Dog vs. Cat“! My Mind My Body proudly presents the Intuitive Eating Video Series. This episode is called “Intuitive Eating and Weight Loss: Truths and Misconceptions”. My Mind My Body proudly presents the Intuitive Eating Podcast Series. This episode is called “Intuitive Eating and Weight Loss: Truths and Misconceptions”. Certain foods like chocolate can seem irresistible, especially around PMS…and there’s a reason for that!